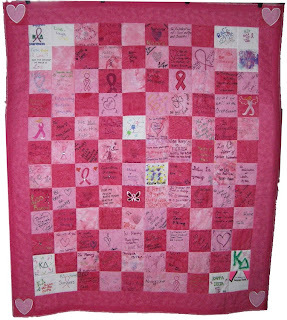 All Things Crafty: Four Breast Cancer Warrior Quilts Finito!! 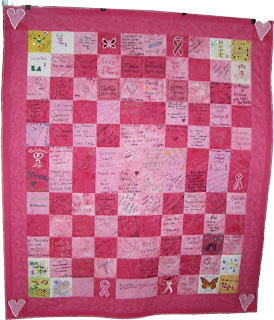 Four Breast Cancer Warrior Quilts Finito!! 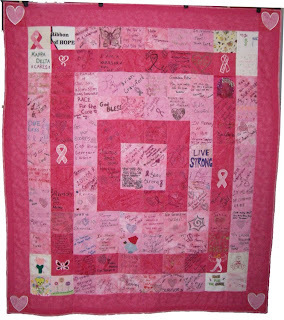 I am 100% done with the Four Breast Cancer Warrior Quilts that I started back around June. It seems like I have been working on these for months and months.... Wait, I have. However, since I can only sew on the weekends, a lot of progress has been completed over these couple months. I can say I am finally found my rhythm with hand sewn binding. It took a quilt and a half and then I was whip stitching like crazy. One a night since Wednesday. At first after the first binding my little finger I use to push the needle was so sore. Then, I came up with a compromise. 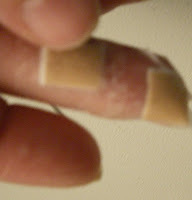 I had a box of spot band-aids and used them as makeshift thimbles for my middle finger which I use to push the needle through the binding. One on top near the nail and then one near the middle section. It worked like a charm!! Probably shouldn't be used for hard needle work because they are apt to puncturing. Terrible photo but you get the picture. Those are beautiful. You've done some really nice work. The care really shows. 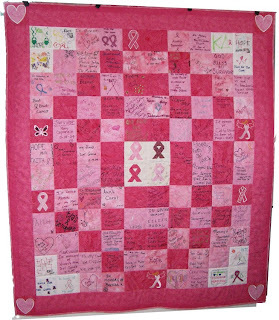 And on the topic of breast cancer awareness, I invite you to check out this video -- ahamoment.com/pg/moments/view/6789 -- about a remarkable woman's "aha moment" that led her to walk around the world for the cause. Literally. 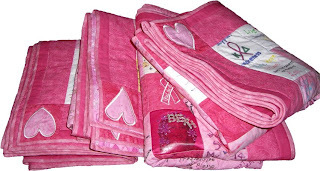 It's a wonderful story, and it's about a lot more than breast cancer. I know you'll find it extremely inspiring. Absolutely beautiful. Thank you so much for doing this.